NXT is WWE's developmental brand and their motto is that "the future is now". NXT has given us some of the best matches in WWE history, the most interesting storylines, and has some of the most complex and interesting superstars. This makes many fans wonder why many NXT superstars don't do well on the main roster. Whether that be their gimmick not translating over well, not being given a proper push, backstage heat, or injuries, many NXT superstars and even former NXT champions are stuck in the main roster's mid-card. The most coveted championship in WWE's incredible developmental brand is the NXT Championship. Although these superstars have won the NXT championship, not all of them have had success on the main roster. 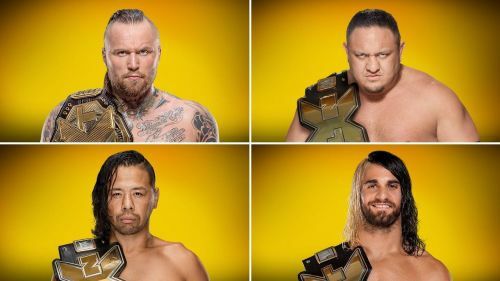 Today we will be analyzing every former NXT champion's success on the main roster. It is disappointing to think of what could've been with the "man that gravity forgot". Neville started out his main roster run with multiple feuds with the likes of Bad News Barrett, Bo Dallas, and Stardust. However, Neville's time to shine came with Seth Rollins' open challenge on Raw in 2015, with Neville coming to answer the challenge and having one of the best matches of the year and almost winning the WWE Championship, if not for a rope break. Despite having stellar matches in his debut year, as well as Slammy award, it was, to say the least, underwhelming as many of the WWE Universe knew Neville was capable of much more than he was being given. Unfortunately, all of Neville's momentum on the main roster came to a halt in 2016 when he suffered an ankle fracture, and would be out for 4 months and missing Wrestlemania 32. Neville returned in July of that year but was pushed completely to the side and was given minimal TV time for the rest of his main roster run. Neville had a great run in the cruiserweight division, winning the cruiserweight championship twice, however his main roster run could've been much better than it ended up being.